We’ve all been on hiatus, both the Lasang Pinoy Sunday food blogging event and this blog. So what a fitting way to come back than with Chocolate! 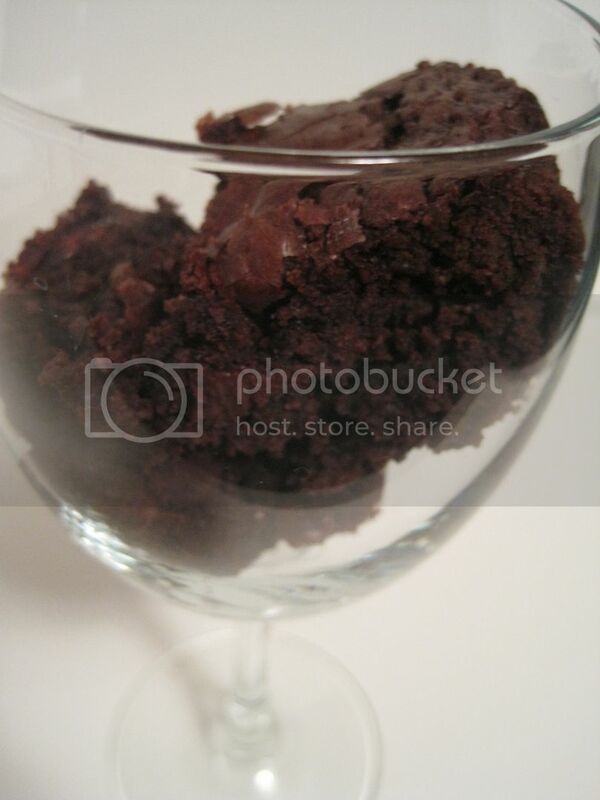 My daughter Jade took this photo because she says, “Every thing looks better in a wine glass” even leftover brownies! Lasang Pinoy Sundays (LaPiS for short) is the photo version of Lasang Pinoy, the food blogging event designed to feature Filipino food. This return of LaPiS brings about two changes; first it is now a bi-weekly event so there’s no rush to post weekly. We’ll have two weeks to come up with a photo and blog it. Second, Ces of spiCes, will have help in hosting the event by other bloggers host the event. Make sure you visit the LaPis portal for announcements on who is hosting and where to leave your link. And yes, I prefer the bi-weekly too.